I have always struggled with spelling, and how to engage students in meaningful activities to practice their spelling words! 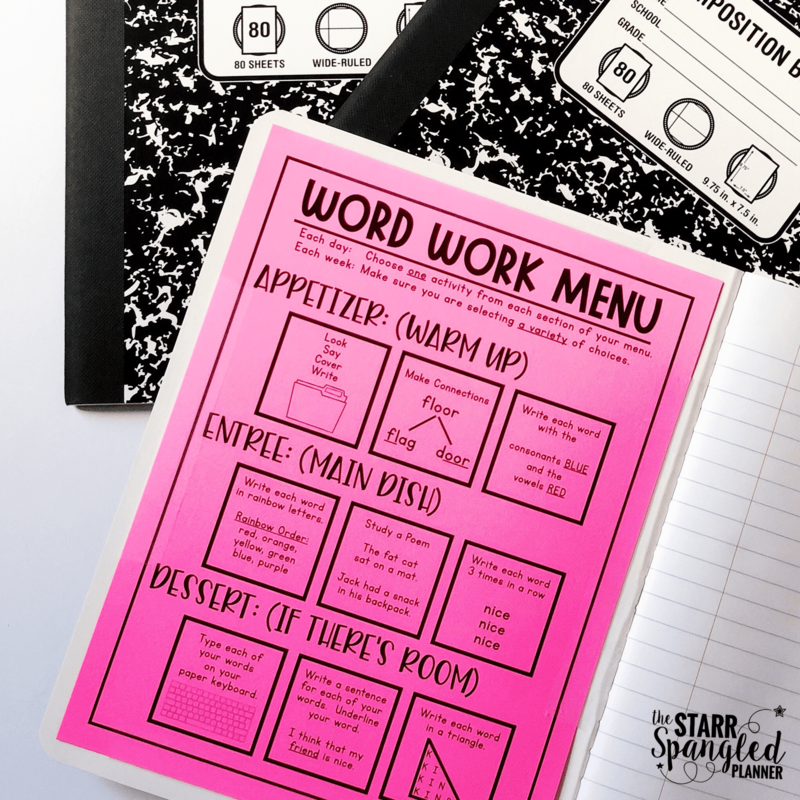 I have tried just about everything under the sun, from rotating through teacher-selected word work centers, to a free choice spelling menu where students try to complete different activities throughout the week. Nothing seemed to work! When my students went to my teacher-selected centers, they were just going through the motions. They lacked excitement, and therefore engagement with the work. When they weren’t engaged, the amount of learning decreased and their progress slowed. Then, when I had students selecting from a menu that provided a wide range of activities, I found myself with a completely different set of problems. While the element of choice encouraged my students to actively engaged in their work, I knew that some of the activities that I provided on the menu would be more beneficial for my students than others. This menu is set up like a real menu that our students would find in a restaurant. There are 3 courses: appetizer, entree, and dessert. Every word work period, students complete one activity from each round and are encouraged to select a variety of activities throughout the week. It allows me to prioritize the word work activities that I need them to complete by making those the appetizers (e.g. 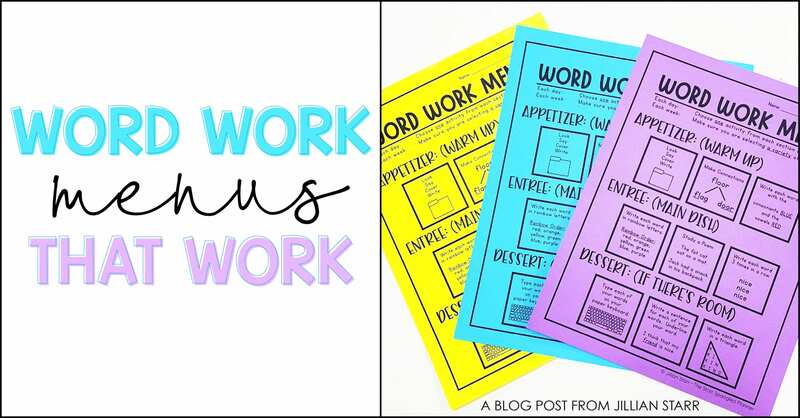 I am required to have my students complete certain word work activities each week, and now I can guarantee that those will be completed). Students are motivated to complete their work so they can get to their favorites in the dessert course. There is still lots of choice to keep them engaged! Want to try it? 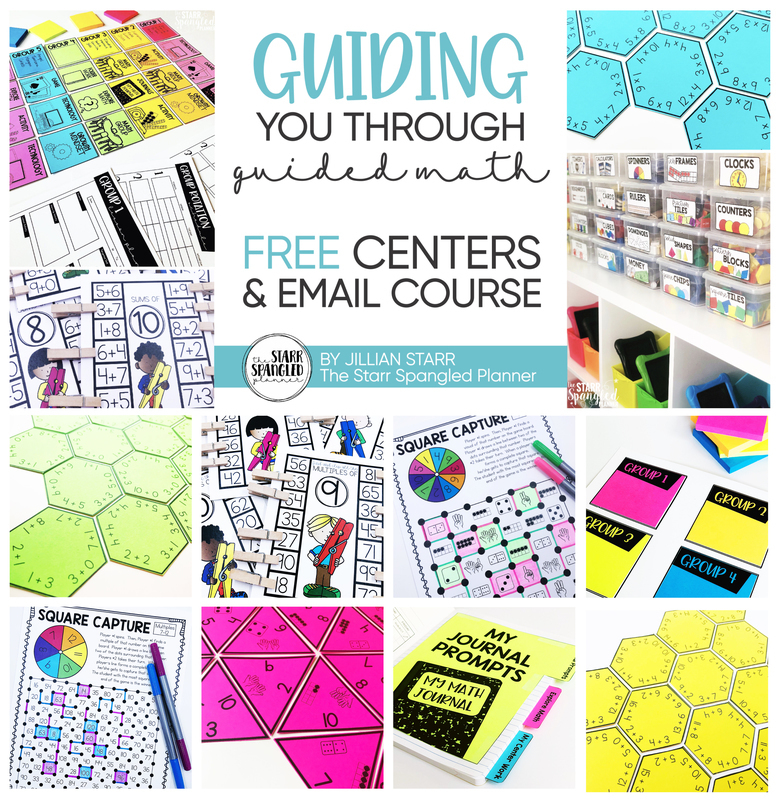 You can grab it FREE below, as well as an EDITABLE version so you can include your own activities. YAY! Keep Your Little Stars Shining!